Umbrella Industrial offers Commercial Painting and Coating throughout the GTA. Our customer service, combined with our cost effective pricing, is unmatched by any competitor. 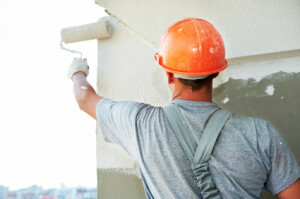 Our Goal is to be your #1 source for all painting needs. We pride ourselves in great service in and around Toronto and its surrounding areas. 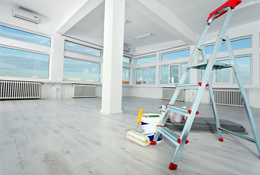 We specialize in all aspects of commercial, industrial and residential interior painting services, such as: underground garages, commercial and industrial units, muti-unit residential properties and more! Get Started today with a consultation! Refresh the look of the exterior of your property – making it look brand new. We specialize in Swing stage and Scaffold painting of exterior buildings, such as high-rise, low-rise and mid-rise painting services; New Construction Painting Services, Restoration Painting and Sealing services, and more. Visit our Swing Stage services page for more information or give us a call for a consultation! UMB Construction’s Commercial Painting and Coating has been serving the GTA area for many years and wants to earn your business. Our loyal customers love our personalized treatment; it keeps them coming back time after time. Our customers are like our family. Please feel free to browse our entire site for more information on our company and services, or give us a call and we’ll talk pricing at 416-575-5050.